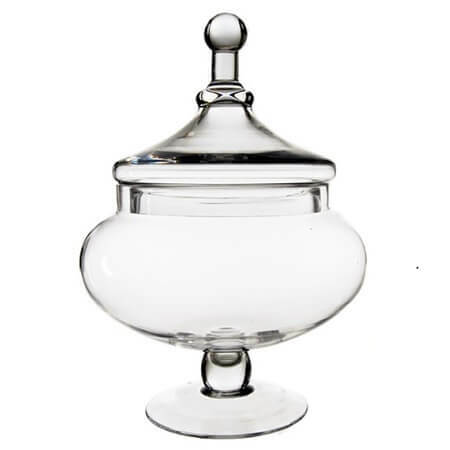 An Apothecary Candy Buffet Jar that stands over a foot tall at 15" height is a wonderful piece to showcase your candy. For so many, the memories of childhood candy stores include shelves lined with shaped glass jars holding a wide range of candies. 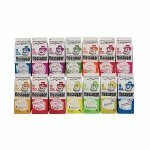 Wrapped, unwrapped, and all kinds of colors can be exhibited on your stores' shelves and counters. 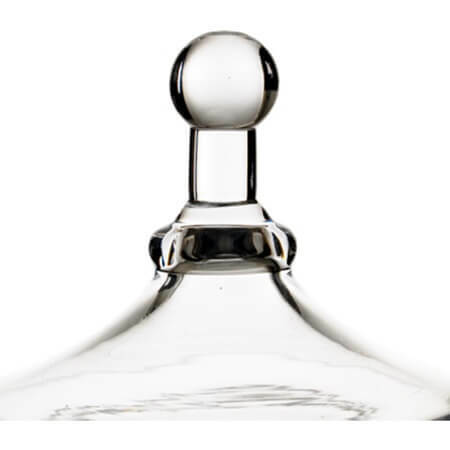 Add a touch of charm to your home when you locate several of wholesale glass containers on your kitchen counters as well as bathroom counters and showpieces in your dining room. 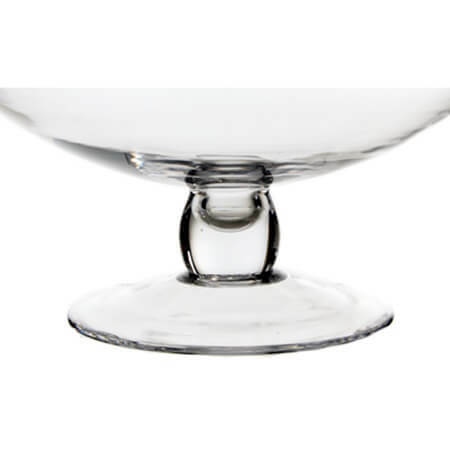 Store items that you wish to reach with ease and have them look visually appealing as well. Celebrate holidays by changing the contents and decorating the home. 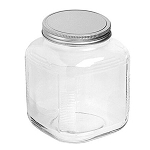 Uniquely shaped glass jars like these are an elegant touch for events such as weddings and anniversary parties. They can hold decorative items such as dried pasta, seashells, colorful fruits and water gems are just the tip of the iceberg on just how extensive you can go when preparing the perfect event. Order yours today!